The Tool 60 Ballpoint Pen is an executive seven function pen that gets its tasks done in style. 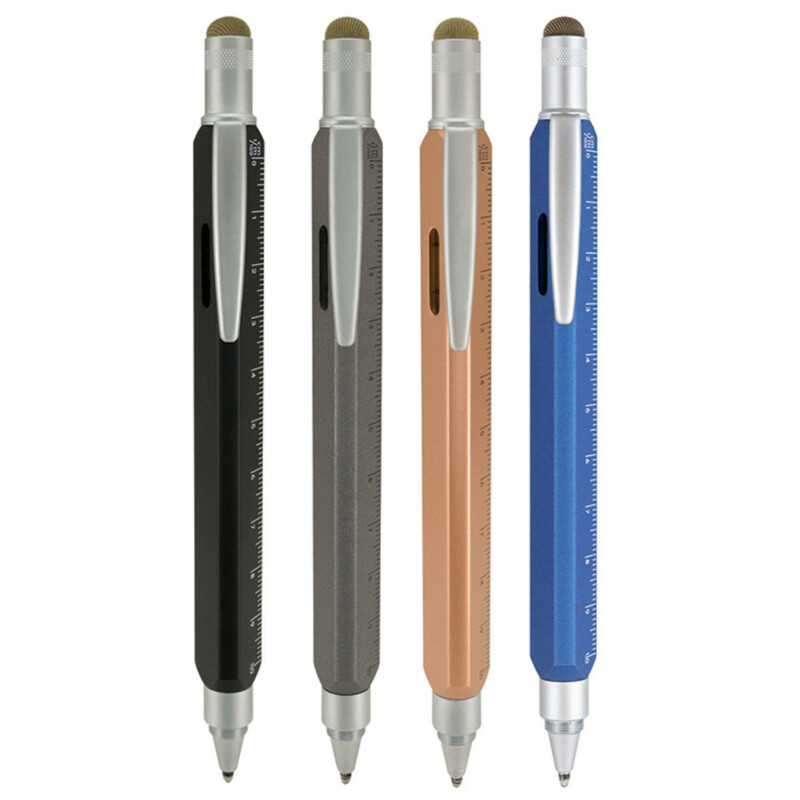 Tool 60 features a hefty three-sided metal barrel that incorporates a built-in level, ruler in centimeters, ruler in inches, mini Phillips screwdriver, mini flat screwdriver and top of the line mesh touch screen stylus, all in one smooth writing ballpoint pen. The solid metal barrel feels substantial in the hand and is elegantly finished in a choice of four durable matte finishes: Autumn Copper, Midnight Black, Platinum Grey & Ocean Blue. Imprint size: 0.17"H x 2"W on Barrel.